It’s the time of the year again where every other weekend you’re either making an appearance as a guest at a wedding, or you’re in one. Whether it was meant to be an extravagant one or not, weddings are expensive! (The only time it’s better to be “always the bridesmaid, never the bride”?) But if you learn from the experiences of newlyweds and use as much free help as possible, you can avoid the hidden costs of wedding venues and vendors. If it’s your special day, the last thing that should ruin it is surprise fees. You might expect some of these expenses, but there are actually tons of hidden costs of wedding venues and vendors! As a guest, it’s not your job to look around and determine where extra money was spent. So when you’re on the other side of the planning, it can come as a real surprise when things like restrooms and furniture aren’t automatically included in a venue rental. Or when your photographer or caterer ends up costing twice as much as expected. Small things, like adding simple lighting to a reception area, can cost over $1000. And for some outdoor venues, you may not be provided with ANY lighting. So not only can the extra cost sneak up on you, but the necessity in general can be a surprise. And guests will want to hear you too, not just see you! Venues typically charge to have the ceremony mic’d, and the less-prepared venues might even require you to provide the higher-voltage. 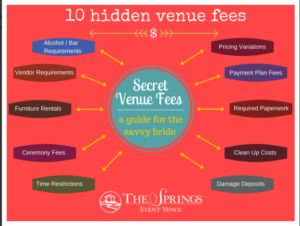 Venues can also tack on fees when you use vendors that are not on their pre-approved list. But even the vendors on the approved list, have their own set of small costs to add. If you go over the allotted time, your venue will probably charge extra, and the DJ, caterer and photographer could too. The potential list of small surprise fees can get pretty ridiculous. While tax and gratuity may seem small like one of the smaller costs, when the bill for the reception is thousands of dollars, the taxes will add up quickly. Sure, taxes have to be included, that’s not that surprising. But if the total cost quoted doesn’t include tax, you could land in the situation that newly-wed Samantha did. “I ended up having to pay an extra $5,000-$6,000 on the day of my wedding and the venue did not take credit cards, only cash or certified check!” Thousands of dollars for tax and gratuity! Gratuities are sometimes included in venue or vendor quotes, but are also often tacked on at the end. Be sure to check the fine print to see if it’s already included in your total price. Set-up, preparation hours, clean up, and tear down are other common areas for hidden costs. If you can’t find info about these in a venue or vendor’s contract, you should definitely ask. Having a group of friends and family who can help with parts like this is a great way to cut out extra expenses. Information about necessary permits, damage deposits, and payment plan fees should also be written explicitly in the contract but may be hidden in the fine print. So after all of that, the hidden fees associated with a wedding are quite scary! (Not unlike the idea of a lifetime commitment to someone???) But, don’t worry, there’s a solution! Nearly all of the hidden costs of wedding venues and vendors can be avoided by using a contract review app like FeeBelly. The app helps to make purchasing experiences transparent and honest. 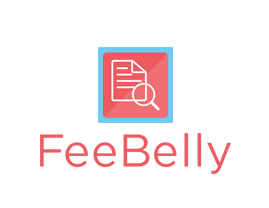 In just three easy steps, FeeBelly can instantly catch hidden fees and costly terms buried deep in terms & conditions and the fine print of contracts. And the best part is it’s FREE! 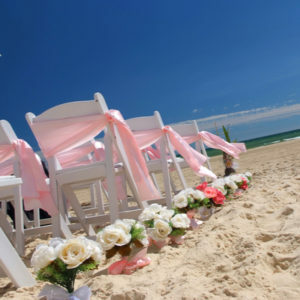 By using FeeBelly and free advice from other newly-weds, you can avoid the hidden costs of wedding venues and vendors.